I was a little bit late in discovering Nick Drake, and it took a little while to click when I was introduced to his three albums. It was probably around the same time as I heard Versterpine. But now I think this really is a perfect album in every way. The songs... The presentation. It's simply 28 minutes of pure perfection. I love his singing and his guitar playing... The sound of his fingers plucking on the guitar. It's an essential album for me too just in terms of songwriting and as an example of the way you should form an album. It very much influenced Sonata Mix Dwarf Cosmos and Wild Dog. He introduces these very interesting lyrics and unique ways of saying things that I really like. There's a real mystical feel to it. You don't really know exactly what it is all the time. 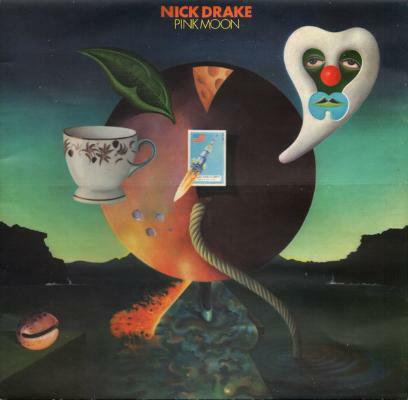 But I guess maybe for it was Pink Moon that felt most relatable out of the three.